Proven to get your teeth whiter and remove up to seven times more plaque than a manual toothbrush, this appliance benefits from a special "DiamondClean" brush head which combines a gentle action with good results. Complete with an interval timer and 2-minute timer to ensure you've cleaned for the recommended time, the Philips Sonicare Diamond Clean Toothbrush HX9332/14 has a number of innovative features which make it stand out. Completing up to 31,000 brush strokes per minute, the toothbrush has five brushing modes including settings for sensitive teeth and whitening. 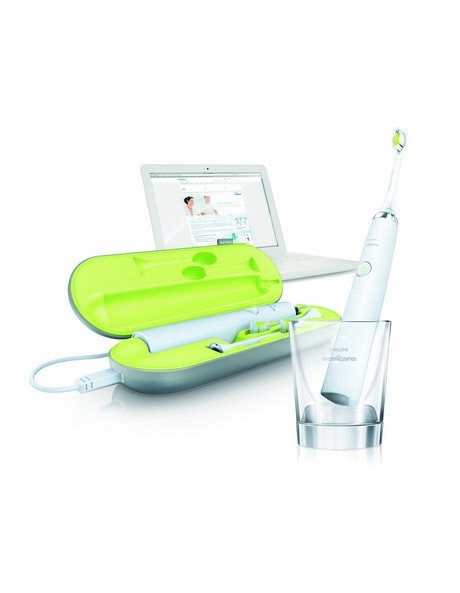 With its own case and charger, as well as a glass, this toothbrush comes with everything you need to maintain good dental hygiene.